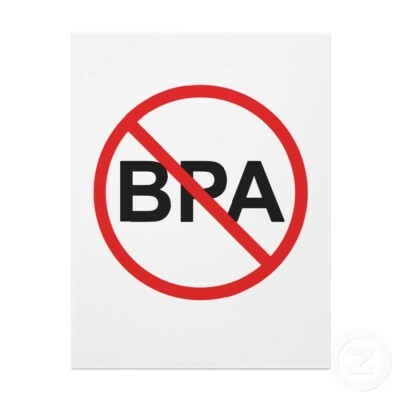 When eating or drinking out of plastic BPA is deposited into your body. The plastic lining within the can contains BPA! Look for BPA free tins next time your at the grocery store. Foods that are highly acidic are more likely to leach BPA from the can lining so tomatoes are a big one to avoid. Recycle jars and use glass containers to store your left overs and pantry items. Limit your plastic wrapping and try to avoid it directly contacting your food. Avoid buying water in plastic bottles, get in the habit of carrying your own water bottle preferably stainless steel or glass. Avoid buying products packaged in plastic to limit your exposure. If you choose to microwave your food use a glass container as heating the plastic will only enhance the the BPA leaching process. Plastic containers labeled with the recycling number 7 or the letter PC are most likely to contain BPA. Plastic is everywhere in modern society and much of it is designed to go into your mouth. A realistic approach is to reduce plastic in as many areas as possible. The less canned foods, plastic bottle beverages and plastic containers you use the less exposure you will have to BPA. Thanking you Holly for your good advices on food specially for diabetics. I’m type 2 Diabetic and your comments and advices are very appreciated.